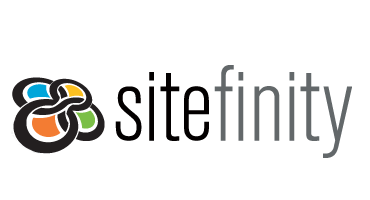 HostForLIFE.eu supports Sitefinity 8.2 hosting on our latest Windows Server and this service is available to all our new and existing customers. Sitefinity 8.2 offers a natural extension to all your SharePoint workflows and wrap a compelling presentation around your core business documents. Contextual task-oriented approach to organizing documentation on any topic. What is European Sitefinity 8.2 Hosting? Now with Sitefinity 8.2 you can personalize each individual piece of content and image to create a near endless number of customized experiences on a single page easier and faster than ever before. Sitefinity 8.2 now supports custom contact fields for audience segmentation and contact profiling. New Personalization Attribution Reporting features available in Sitefinity Digital Experience Cloud enable you to see exactly which pieces of personalized content are contributing more to your marketing and communications goals. Why Choose HostForLIFE.eu for Sitefinity 8.2 Hosting? Try our Free Sitefinity 8.2 Hosting today and your account will be setup soon! You can also take advantage of our Windows & ASP.NET Hosting support with Unlimited Domain, Unlimited Bandwidth, Unlimited Disk Space, etc. You will not be charged a cent for trying our service for the next 3 days. Once your trial period is complete, you decide whether you'd like to continue.